Dr. Nell Duke from Michigan State University states that nearly 44 million adults have difficulty extracting information from text and that a large percentage of American students have difficulty reading and writing informational text. Reading for information is a lifelong skill. Use the natural curiosity of children to introduce your child to the world of knowledge inside books. Including nonfiction will help provide a balance and a variety of genre in your child's reading. Exposing your child to nonfiction will familiarize him with the structure of this type of book and will help him learn how to get information from the text. This early exposure will reflect positively in school. There is evidence that a parent's beliefs and attitudes about reading will directly influence children's literacy skills. Parents who have respect for the information contained in books will pass that respect on to their children. Children need to know that learning happens all the time, not just at school. Good readers enjoy a balance of fiction and nonfiction books. They enjoy using nonfiction books to answer questions they may have ("Why do stars twinkle?") and are excited to share with others the information they learn in their nonfiction books. Go to the Library and sign up for Summer Reading. Have fun at Summer Reading Kick-Off in June. For details, go to www.westbloomfieldlibrary.org/summer. Read five books from the "Reading" booklist. Plan a vacation day from TV. Mark it on the calendar. Go to the library and check out some books for your TV-free day. Check off all the books you have read so far on the Counting the Days `til Kindergarten booklist. Count how many you've read and write the number on the calendar. Make reading a mutual undertaking and have fun with your child. Many preschool aged children are yet to read independently, but all can share reading with an adult. Give your child time to fill in the blank as you read such as “Brown Bear, Brown Bear, what do you see? I see a _______ looking at me.” Most can fill in a rhyming word in a shared reading. The picture clues will also help your child. Read everything you can. 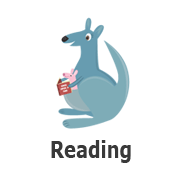 Reading is a skill that we use regularly in our everyday lives, have your kindergartener read street signs, roads, maps, letters, mail, shopping lists, recipes, and menus. These great reading ideas will have your child thinking and reading beyond books.